Student and faculty nominations can be made until March 2 with all proceeds benefiting nOURish Bridgeport. 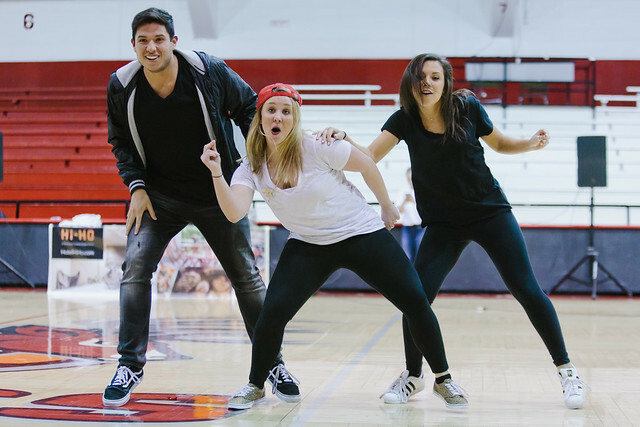 The Dolan School will host its second annual Lip Sync Battle on Thursday, March 22 at 9 p.m. in Gonzaga Auditorium as part of the School’s annual Week of Service. The Lip Sync Battle will feature faculty competing against students, with all proceeds benefiting nOURish Bridgeport, a volunteer-driven, not-for-profit organization that strives to better the lives of those in need in partnership with United Congregational Church in Bridgeport. According to Week of Service planning committee member AJ Pope ’18, last year the Lip Sync Battle exceeded expectations with a large crowd and cheering supporters. “We are so excited to bring this new tradition back, where students and faculty members come together for a night filled with a lot of laughs. Competition is much higher this year, as people have already been recruiting ‘back up dancers’ and are coming up with routines’” said Pope. $1 nominations can be submitted for any student or faculty member. The four students and four faculty members who receive the most nominations will compete in the Lip Sync Battle. A $5 admission fee will be collected at the door that can be paid with StagCards. Students should cast their votes today! The Dolan School Week of Service is sponsored by The Circle Inn and Hotel Hi-Ho, and Synchrony Financial. Interested in participating in more Week of Service events? OrgSync registrations will open soon for volunteer opportunities March 19 – 24.